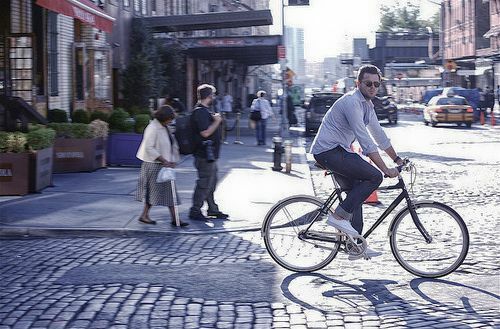 When you are in New York, head over the Brooklyn Bridge into DUMBO. 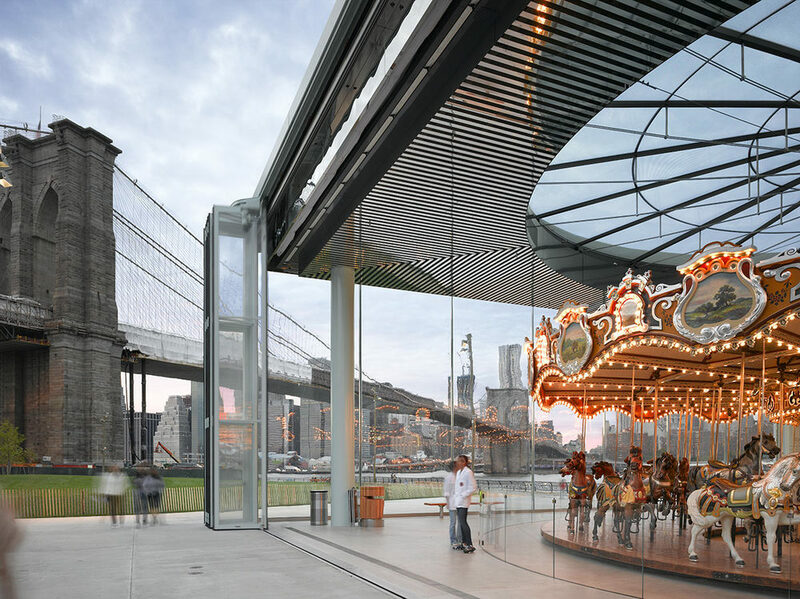 Nestled in DUMBO is Brooklyn Bridge Park where Jane’s Carousel was recently relocated. 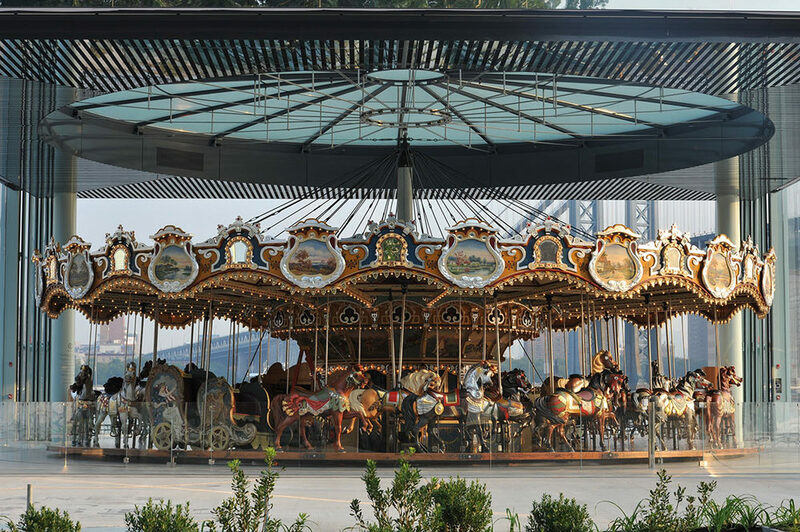 The carousel (merry-go-round, as we called them) had been resting in a storefront on Water Street for years, awaiting its main stage position between the two bridges. 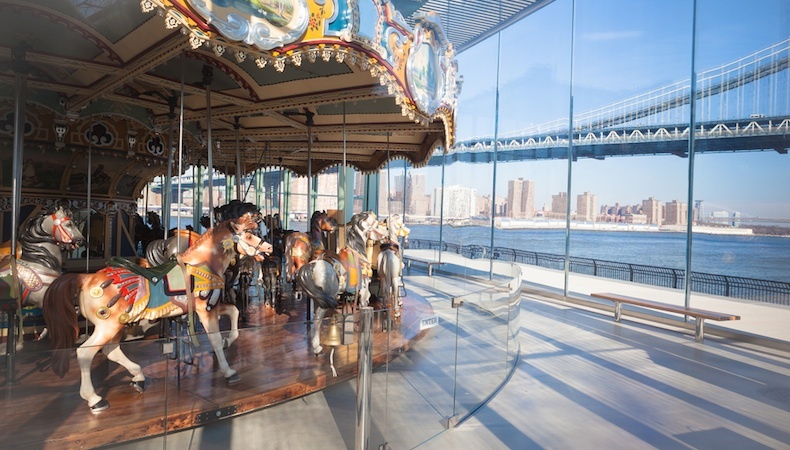 It’s a wonderful place to see spectacular views of Manhattan and Brooklyn Heights, and a great area to walk, shop and explore many remnants of old New York. Jane's Carousel (formerly Idora Park Merry-Go-Round) is a carved, wooden, 48-horse carousel that was built in 1922 for the Idora Park amusement park in Youngstown, Ohio, by the Philadelphia Toboggan Companys. 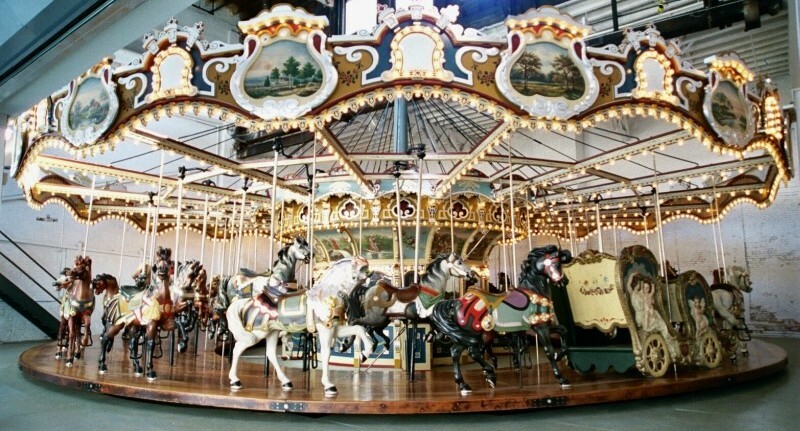 It was carved by John Zalar and Frank Carretta, each of whom is attributed with carvings on carousels constructed by PTC and other carousel companies like Looff. 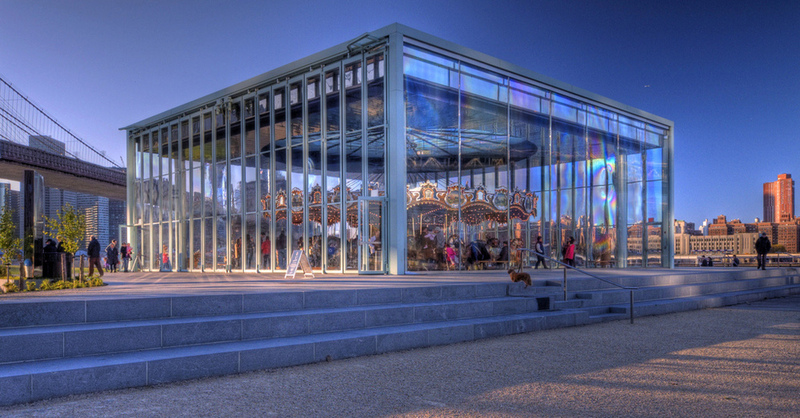 Jane's Carousel was listed on the National Register of Historic Places on February 6, 1975, the first carousel to receive such designation. Now, enjoy this beautiful story of dedication, patience, and incredibly detailed art work of Jane Walentas. The character of the city is undeniable but you gotta have just as much heart as The Big Apple itself to keep your head up. Over recent years, David Walker has shown work in Berlin, Hong Kong, LA, Lisbon, London, New York and Paris – among other cities. Check out a beautiful video where he puts together a new creative piece.